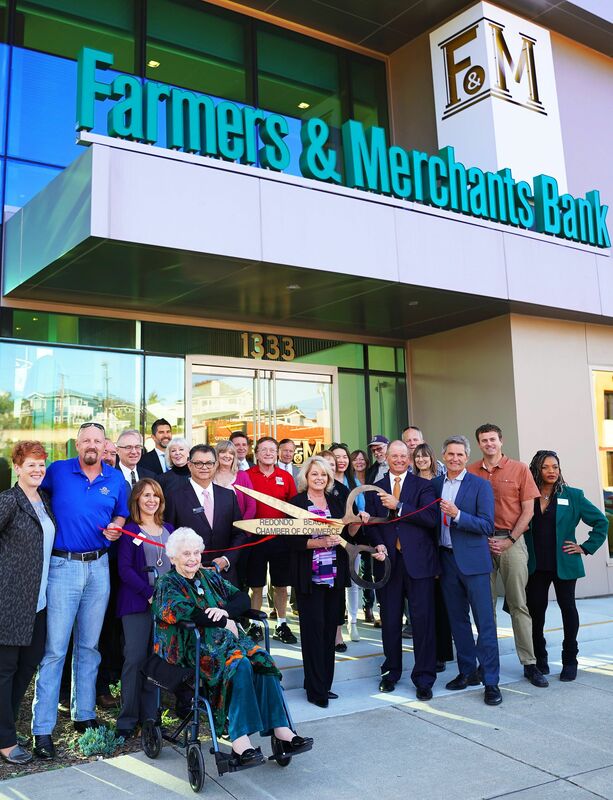 Farmers & Merchants Bank celebrated the grand opening in Redondo Beach of its 25th branch on Saturday. Joining Farmers & Merchant staff and city officials was Redondo’s grand dame Pat Dreizler (foreground), former Redondo Beach Woman of the Year and former Community Services Director. The opening included In-N-Out burgers, and a $5,000 sweepstakes. 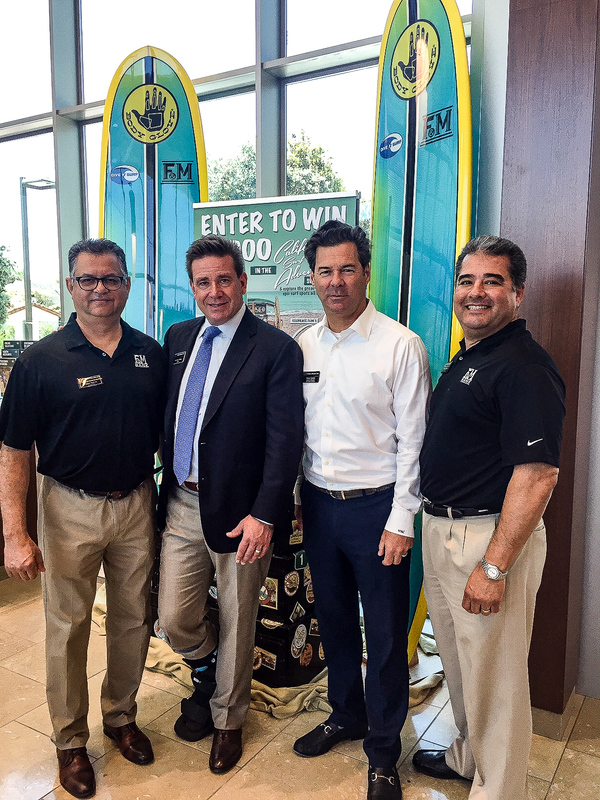 The new branch is at 1333 S. Pacific Coast Highway (at Avenue F).